Visit Parenting.com for a chance to win a Clean Water necklace by Christine Mighion. 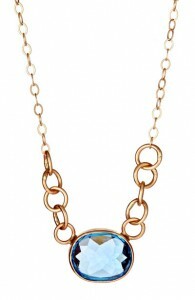 This stunning necklace is made from recycled 14K gold & features a blue topaz. The drawing will take place on February 15th, so get your entry in soon!